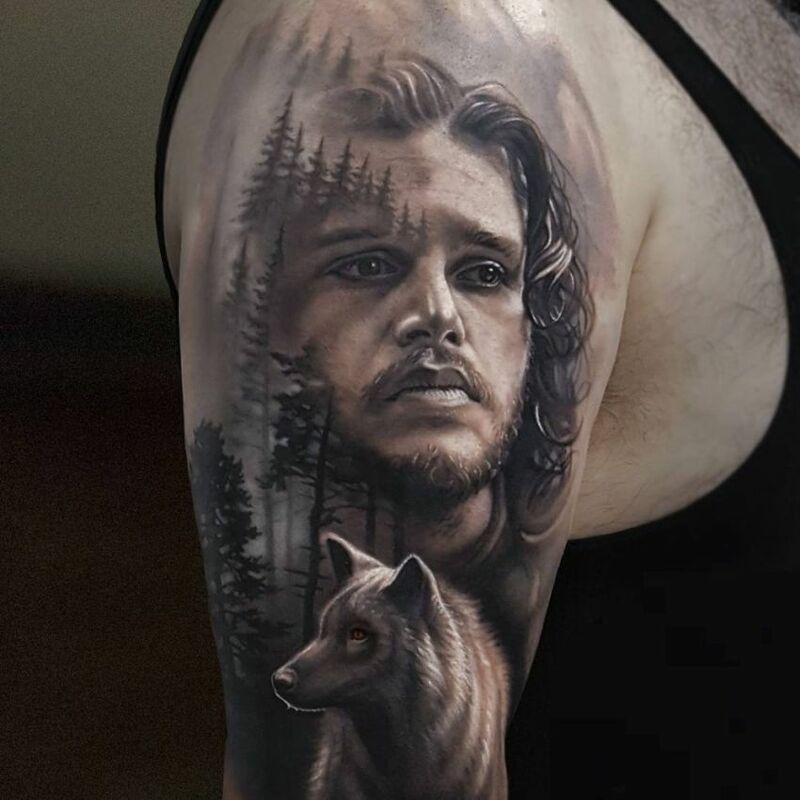 We’ve all seen our fair share of impressive tattoos. 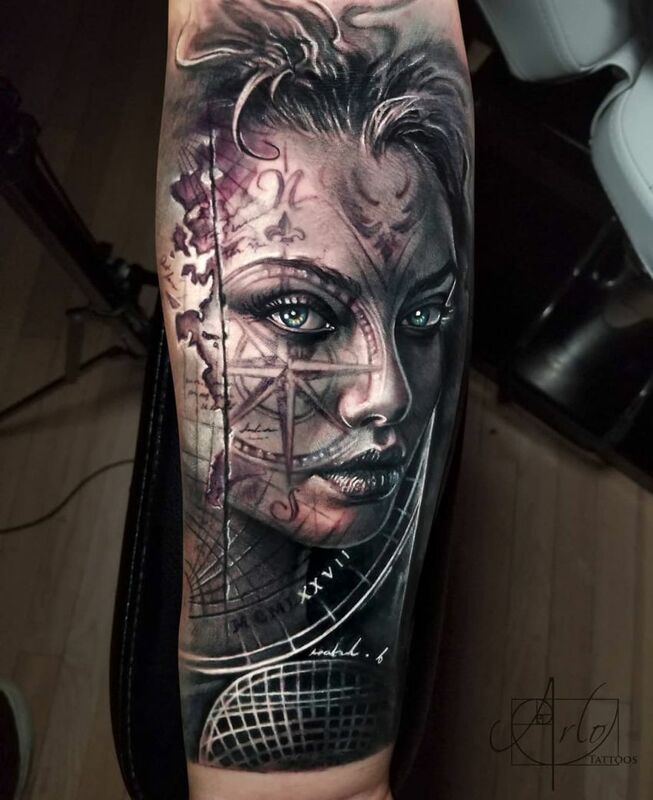 These days the tattoo possibilities are pretty much endless and tattoo artists worldwide are pushing the limits of what can be done on skin. 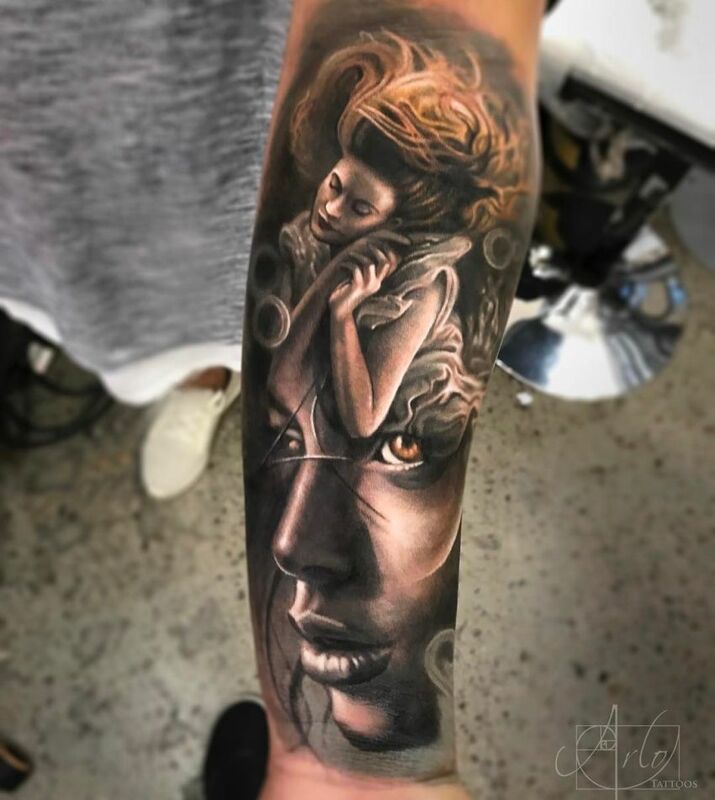 One of the new tattoo trends that is really stretching the artistic boundaries is represented by double exposure or face morph tattoos – a style that lets you you kill multiple designs with one needle. 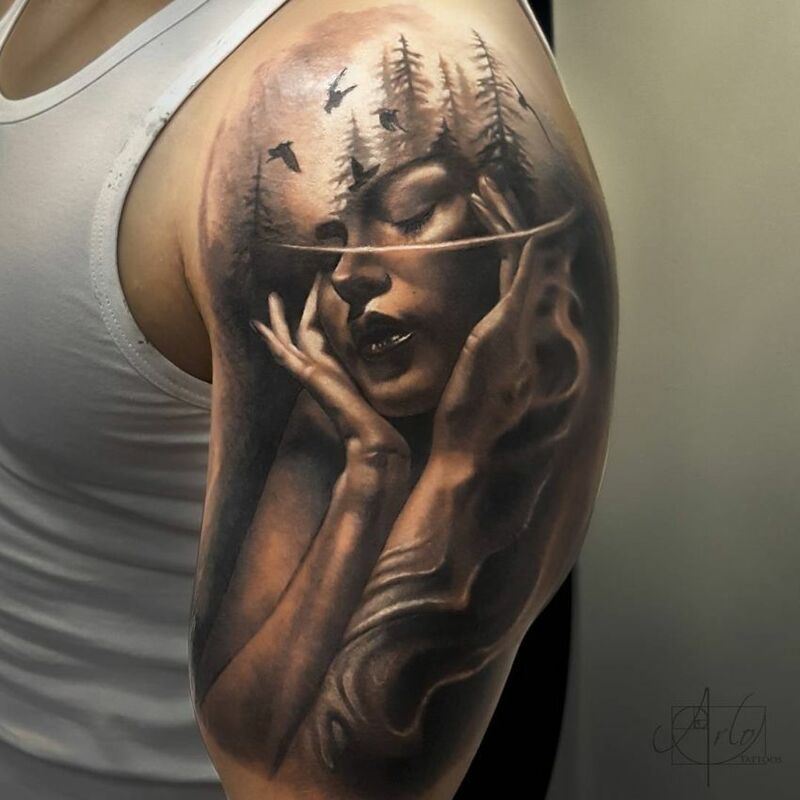 Basically, a double exposure tattoo is the transposition on skin of the homonymous photographic technique. 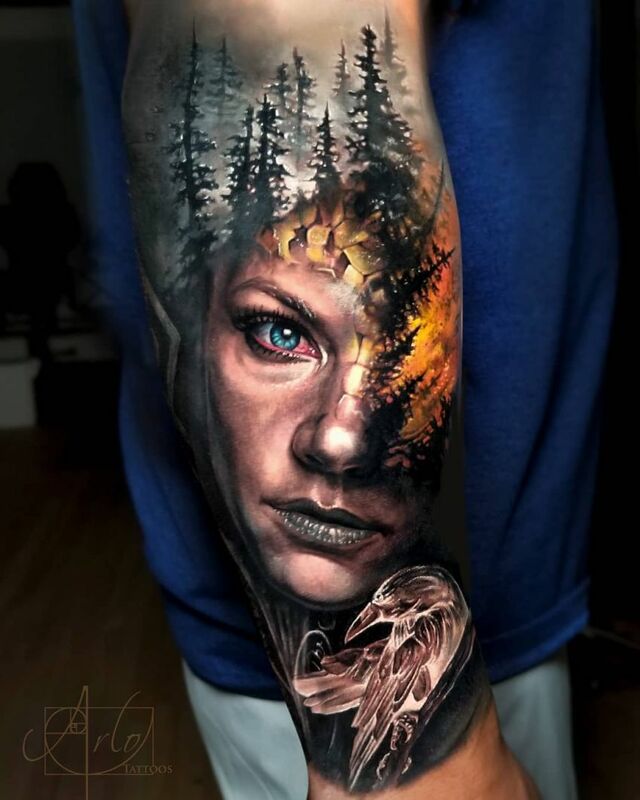 While this method has been used in photography for some time now, it is just starting to gain traction in the body art scene, and it’s not hard to see why people are loving these delightful double exposed designs. 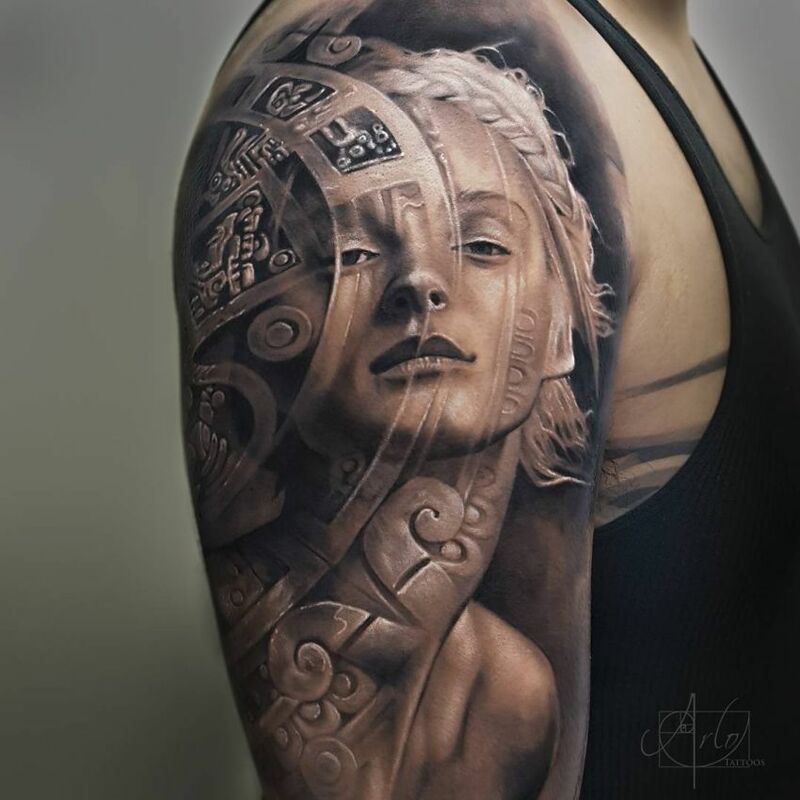 Face morph tattoos can make true custom ink for people wanting something poetic, original and superb. 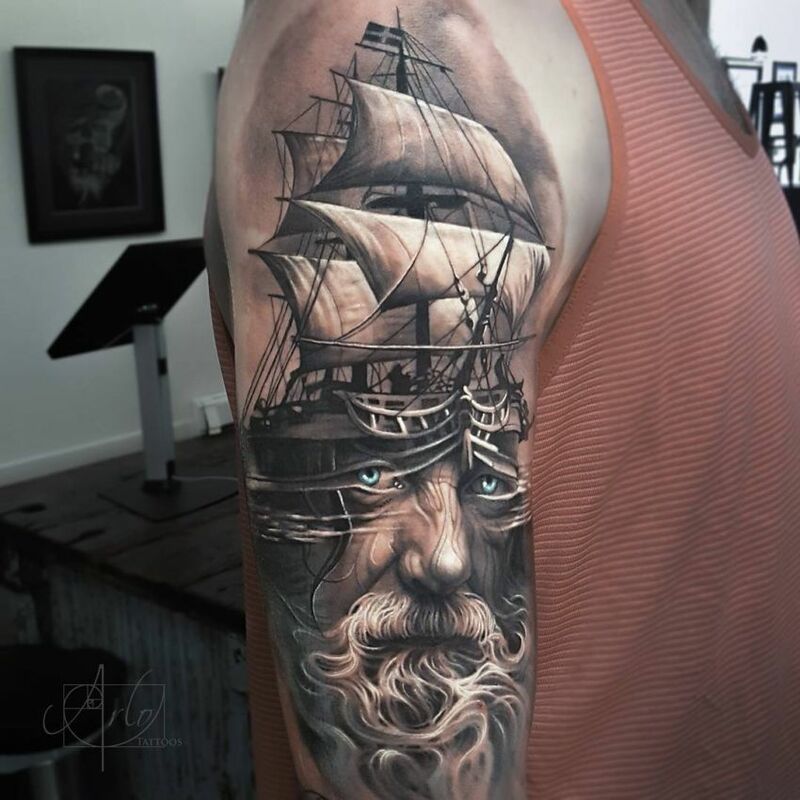 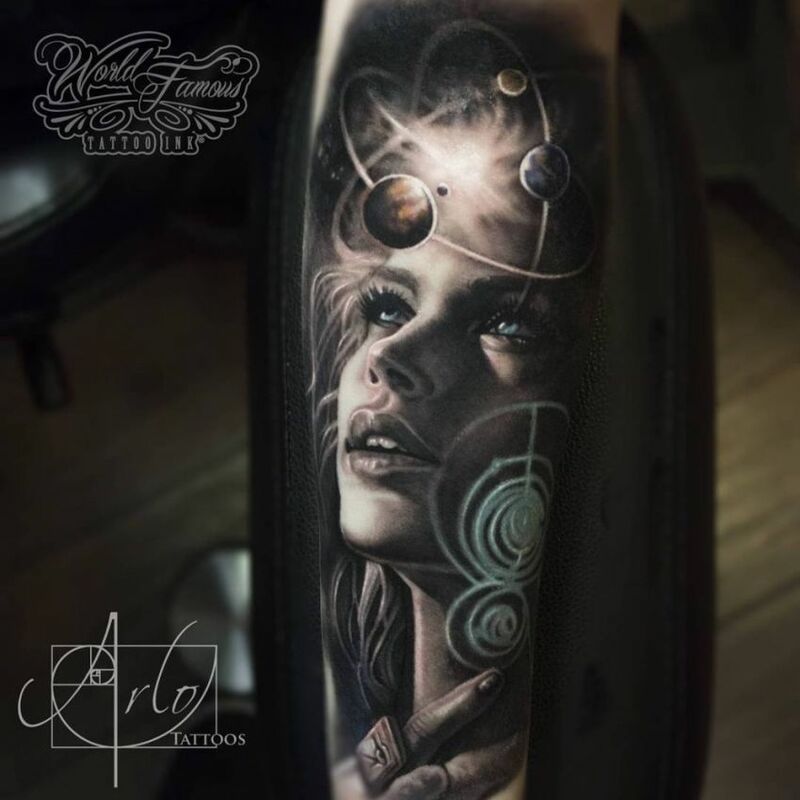 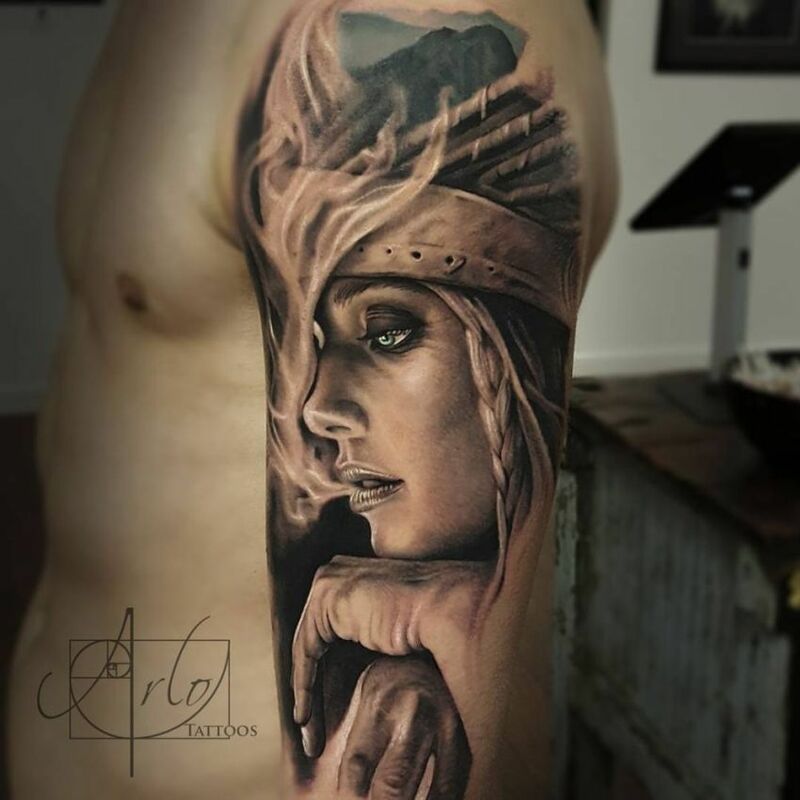 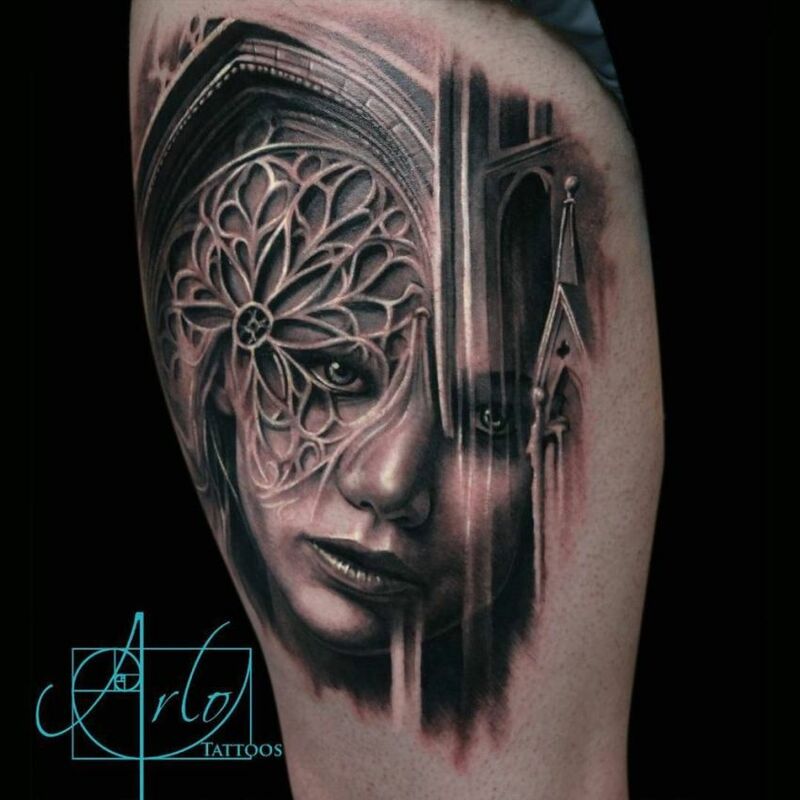 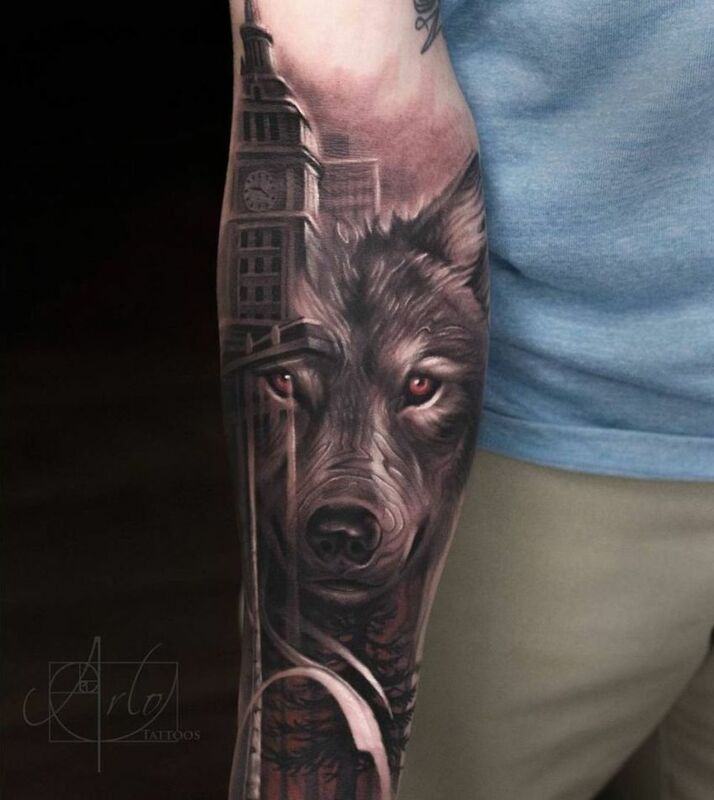 One of the artists who have the skills to execute such a style is Arlo DiCristina – a young tattooist based in Grand Junction, Colorado who is truly mastering the art of composition. 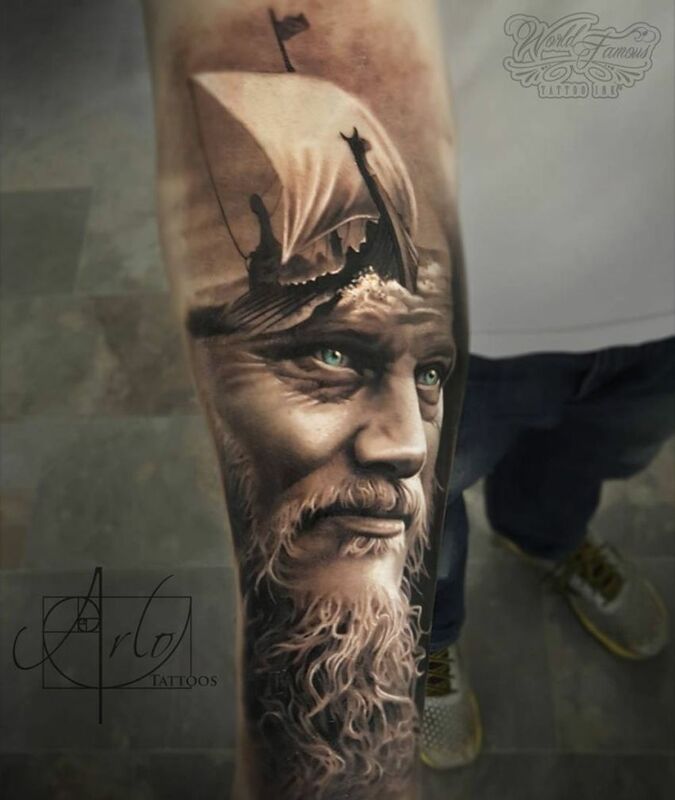 He can be considered one of the greatest exponents of this fairly new and creative tattoo style in the world. 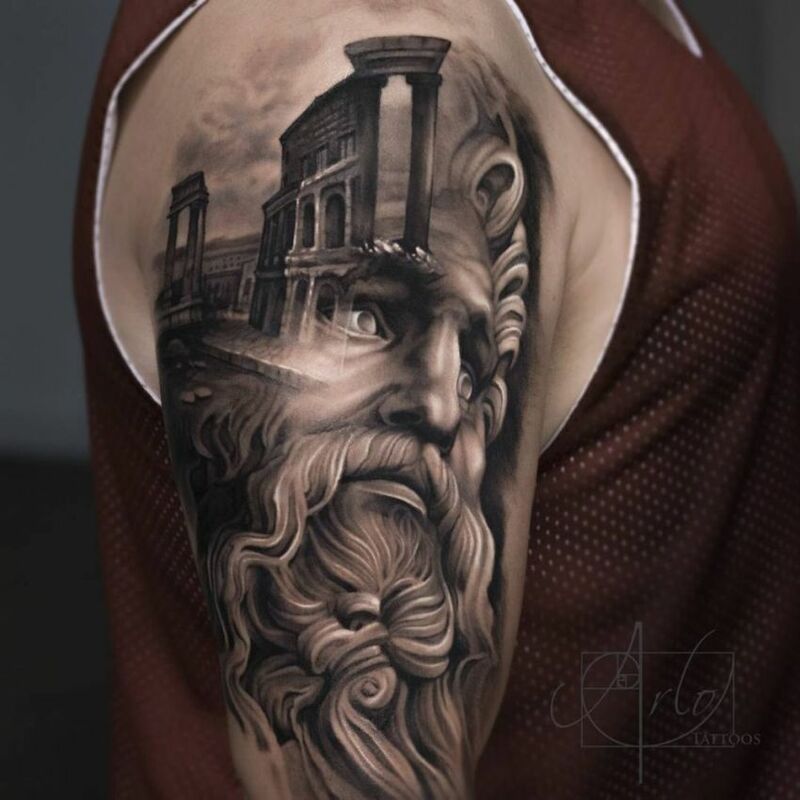 DiCristina specializes in surrealism and works mainly in black and gray – his incredible portraits with face morph effects have become viral sensations on social media. 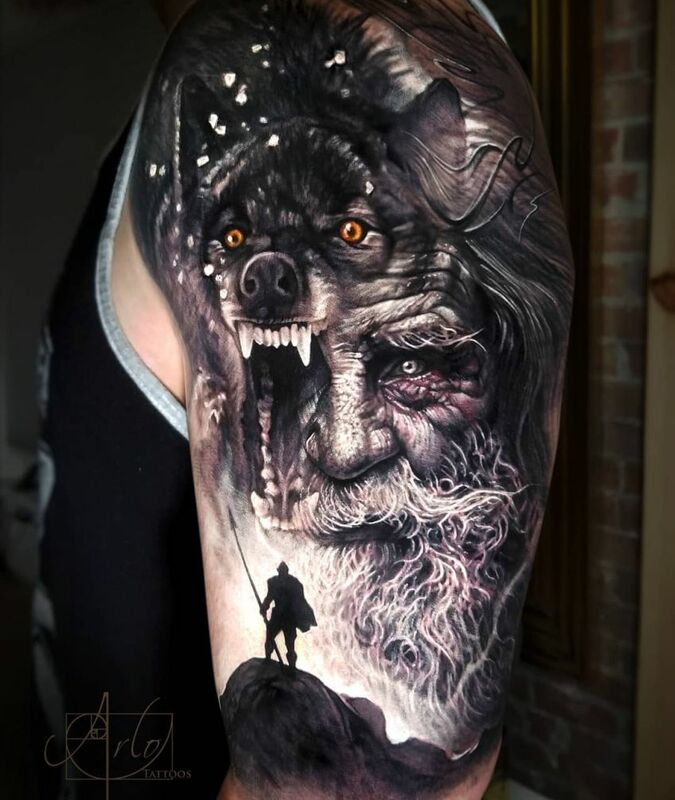 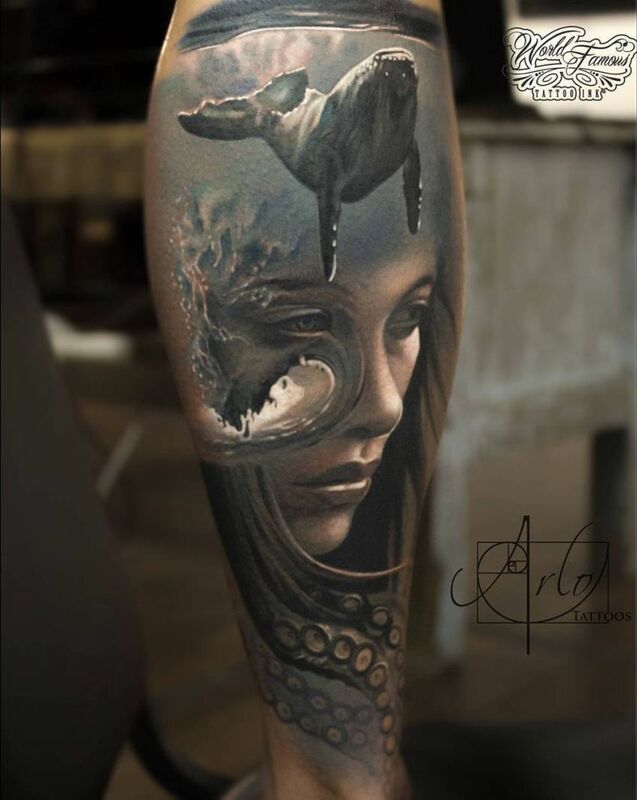 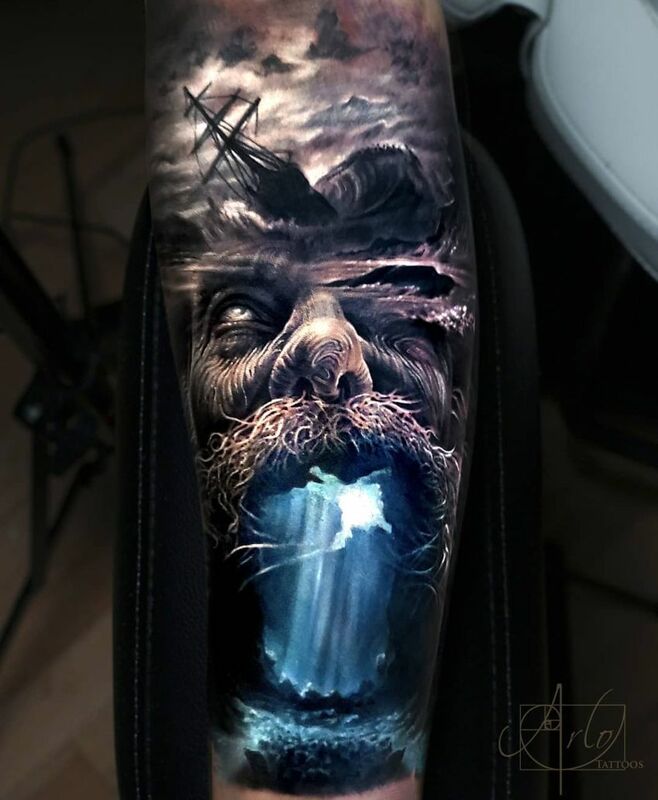 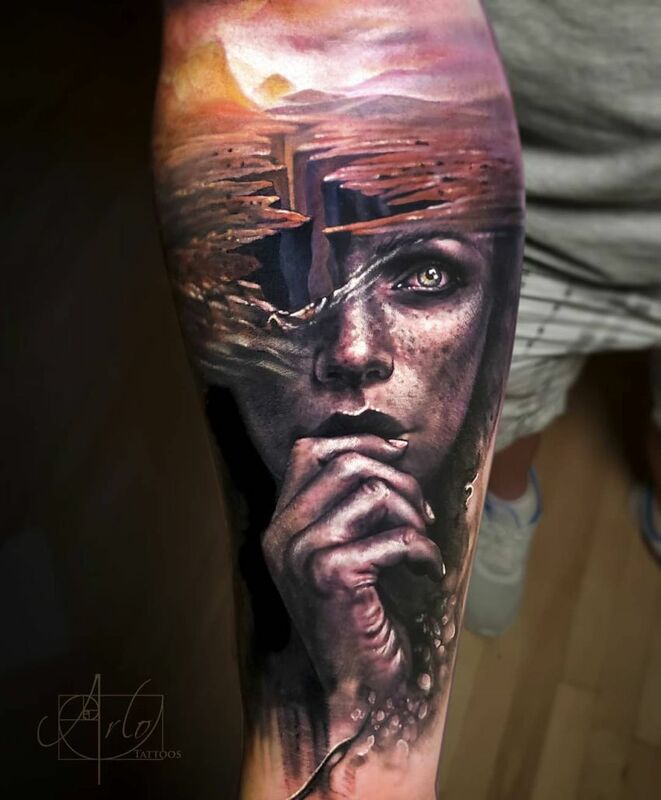 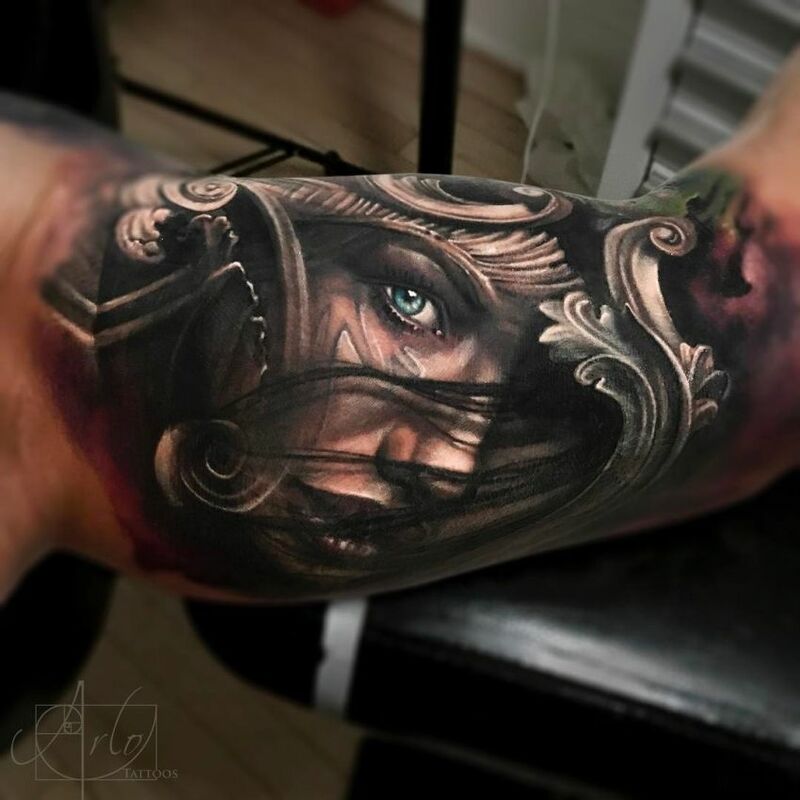 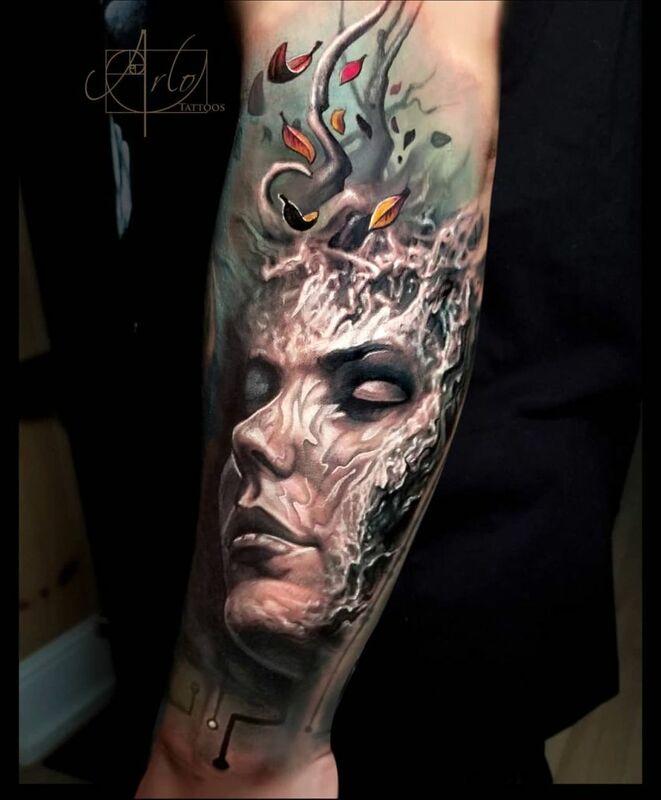 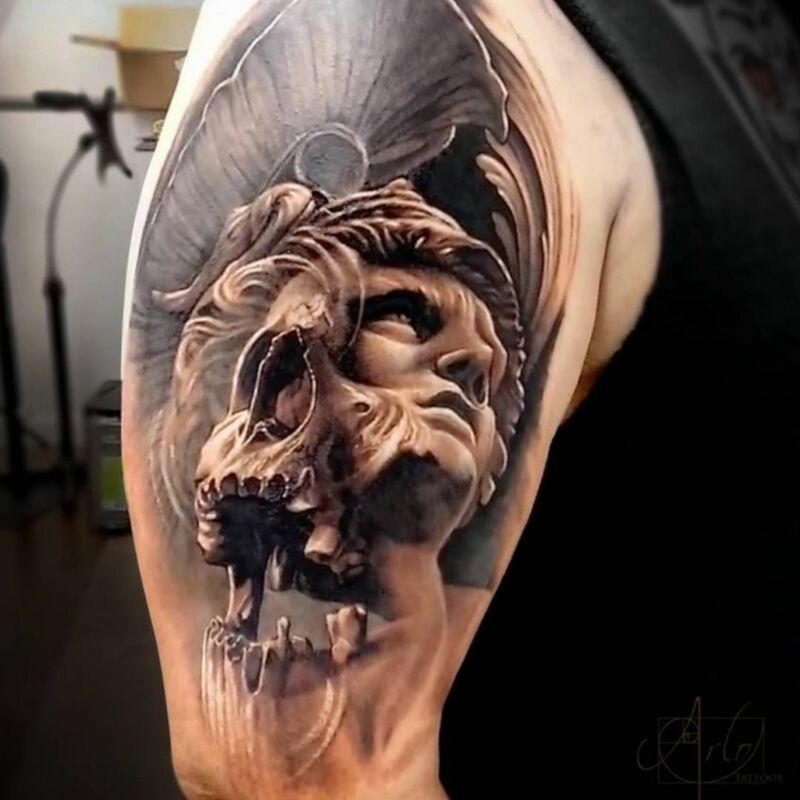 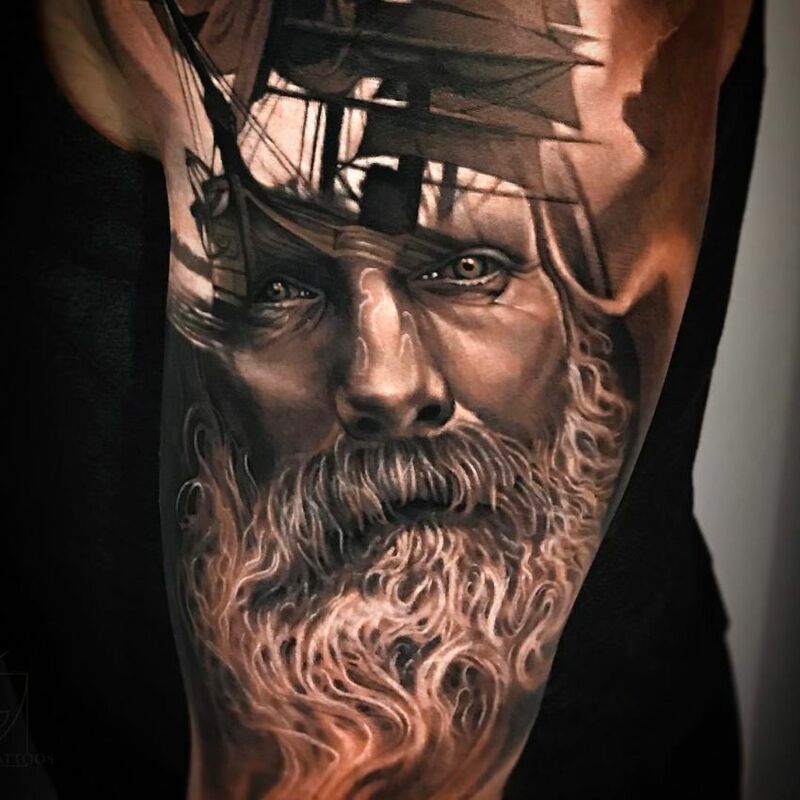 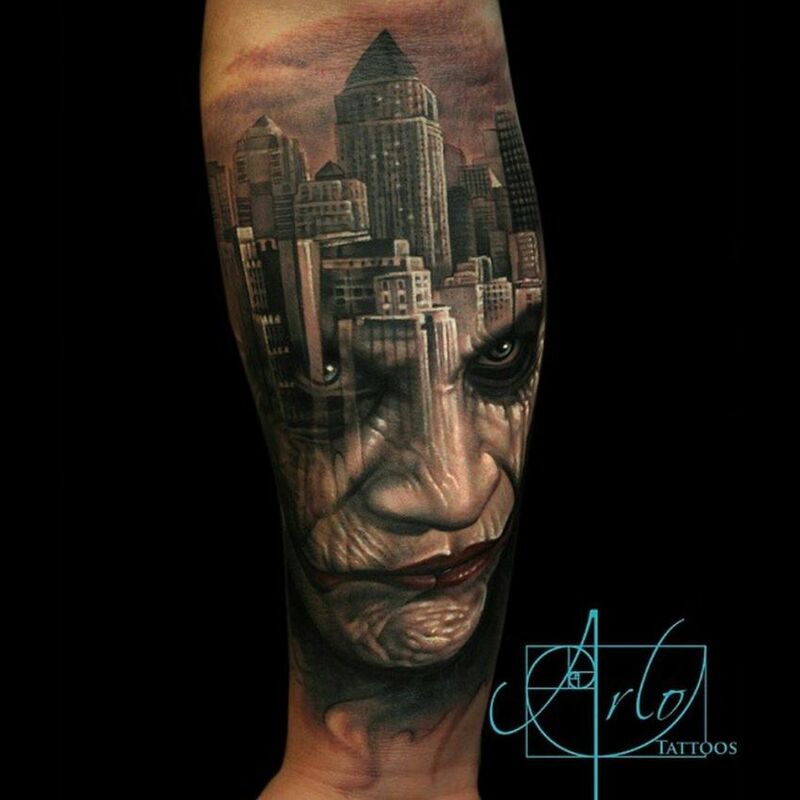 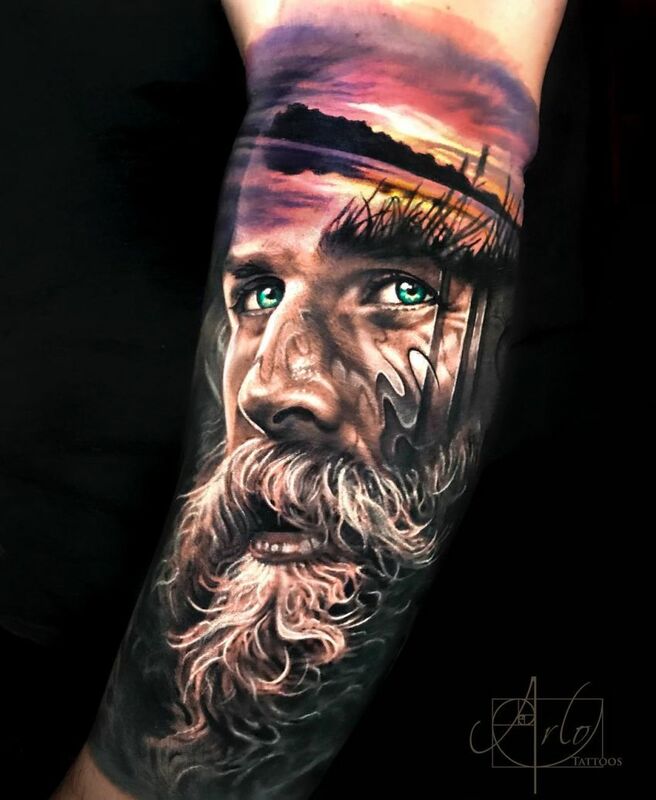 Each tattoo has the distinct feeling that it was painted with a brush rather than needles, as Arlo DiCristina’s approach favors dramatic shading over outlines—the result looks spectacularly three dimensional. 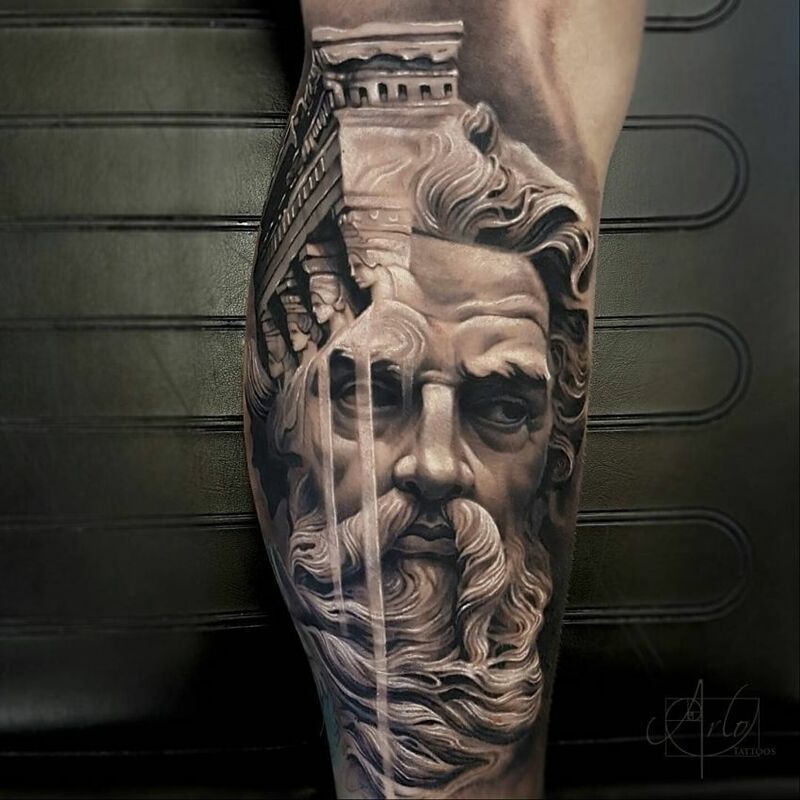 If you can’t decide between two different images, or if you’re looking for a fresh take on a classic tattoo, a morph ink piece might be the right choice for you. 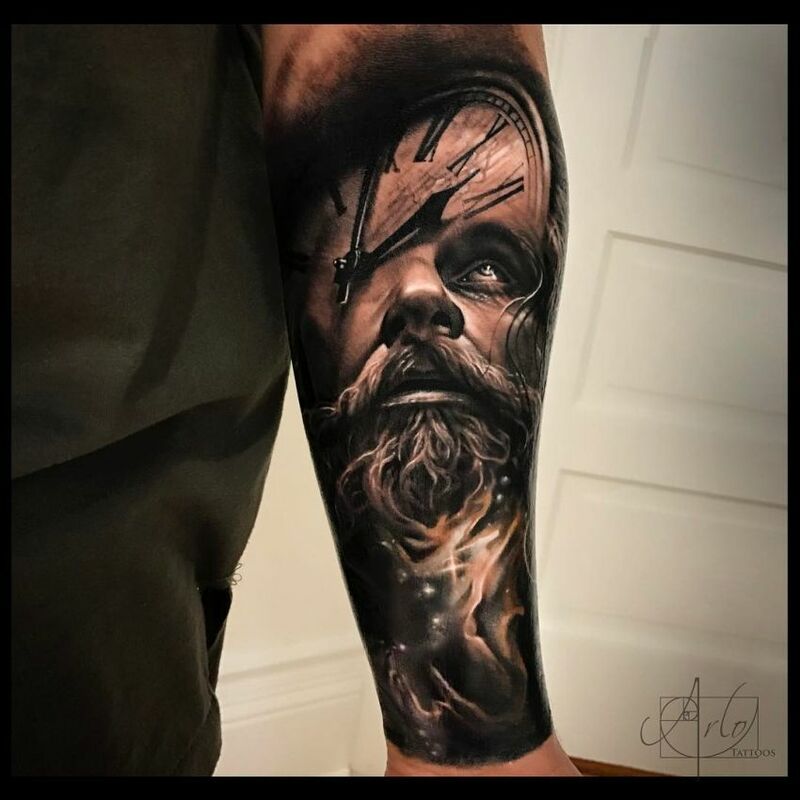 Take a good look at Arlo’s work below and be sure to check out his Instagram if you like what you see and discover more of his beautiful face morph tattoos. 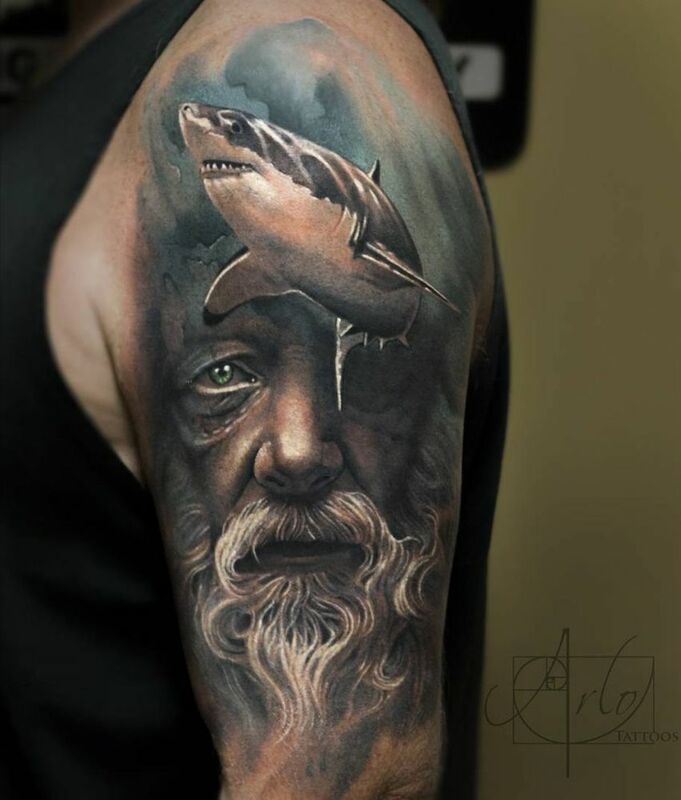 Arlo, you are a modern day Leonardo Divinci! 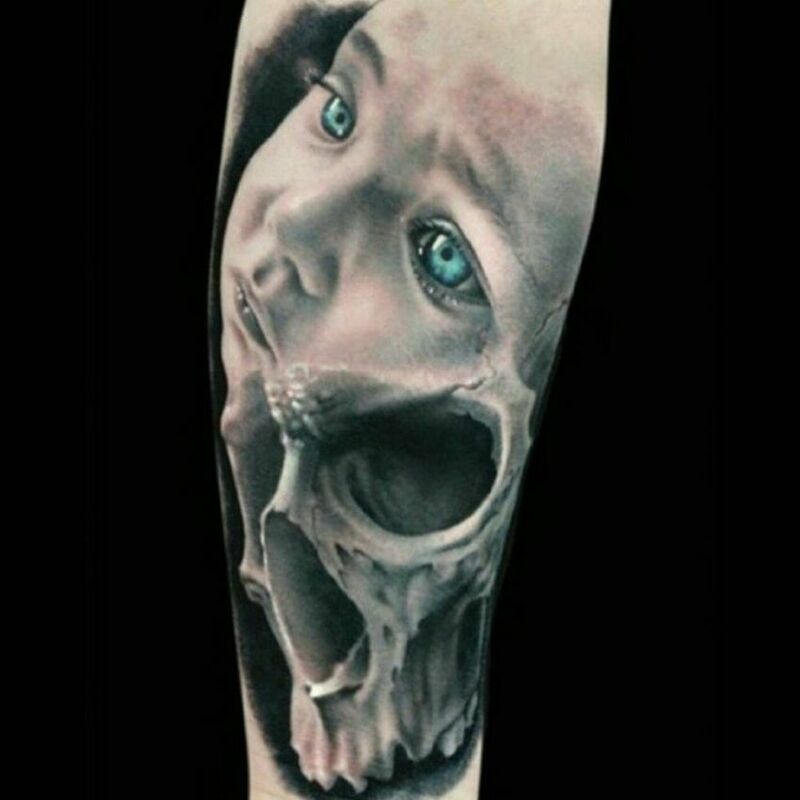 You have the gift from God.